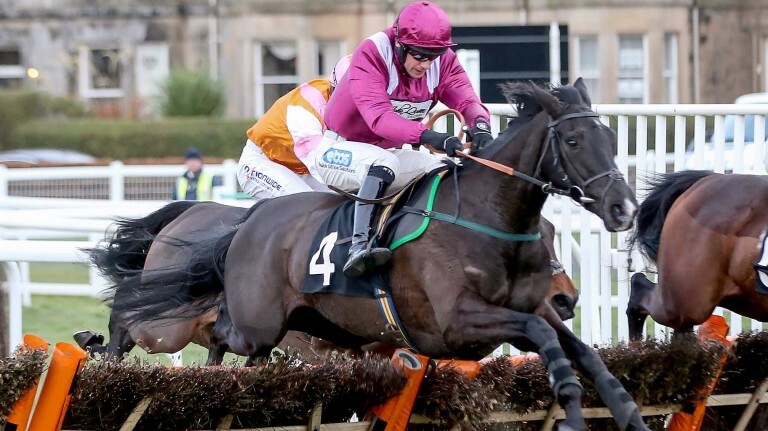 The most informative race at Musselburgh might just be one that ITV4 misses live as the bet365 Scottish Triumph Hurdle Trial (1.30) has attracted a small but select field. JP McManus already has the JCB Triumph Hurdle favourite in Defi Du Seuil but he has bought Project Bluebook, his first horse with John Quinn who has guided the Sinndar gelding to two wins at the course. Sean Quinn, assistant to his father, said: "We bought him as a two-year-old at the breeze-ups with a long-term plan. With his breeding we always hoped he was going to improve. "Over hurdles he has improved from his second start to his third and hopefully he can improve again." Nicky Henderson has won this race twice including with subsequent Triumph Hurdle third Hargam two years ago. Soldier In Action, owned by Alan Spence, makes his hurdling debut having ended the year rated 105 on the Flat. Henderson said: "He was a good horse on the Flat for Alan and Mark [Johnston] has kindly let us borrow him for the winter. We were always going to start him here as we thought we get some decent ground. It's a competitive race and we'll find out where he belongs." Fidux defends his unbeaten record as he becomes trainer Alan King's first runner at the track. "They are putting up excellent prize-money and deserve to get the support. I’m glad that I did not run Fidux on that bad ground at Cheltenham last week and going north of the border is looking a lot more favourable." The Queen's home-bred Forth Bridge is officially rated over a stone inferior to both Fidux and Project Bluebook but trainer Charlie Longsdon is expecting a bold showing. "I think he is a nice horse and it is better ground up there than in the south." Musselburgh continues its festival trial theme on Sunday with its own Champion Chase and a Pertemps qualifier along with races for potential novice contenders at Cheltenham and Aintree.